Haworth's CalmSpace was on display at Orgatec 2012. Exterior and interior views of the capsule are shown. Sleeping on the job just became acceptable with the release of Haworth’s CalmSpace power nap capsule. Shown at the recent Orgatec in Cologne, Haworth’s CalmSpace capsule offers a “retreat” for workers who want to indulge in power naps, a little quiet time or mood relaxation. 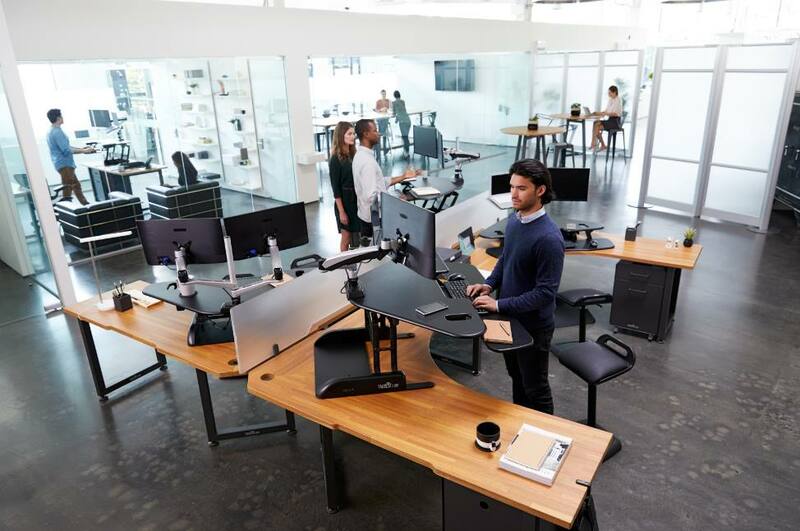 According to information from Haworth, CalmSpace can be programmed for either a 10-minute or 20-minute nap cycle, which “includes preset sound and light cycles,” to help the user relax. Entrance into the capsule is through an acoustic curtain, and inside has an upholstered mattress. The office furniture giant says it worked with designer Marie-Virginie Berbet, who has a background in neuropharmacology, on the design. 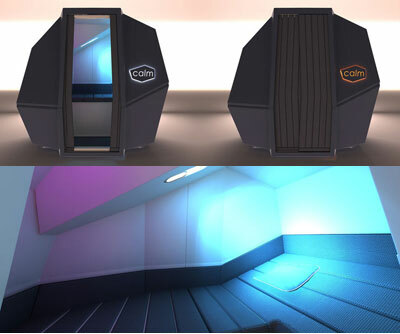 Haworth adds it developed CalmSpace in cooperation with Zyken, which provided the light and sound technologies. Though sleeping on the job has been a longtime joke in offices, (remember the Seinfeld episode with George Costanza’s bed under the desk), various research projects throughout the years have touted the benefits of power naps for employees, including improved alertness and creativity and reduced irritability. Sounds like a good idea to me. What do you think?